7 October 2016 by . Father Tomislav: Dearest brothers and sisters, we welcome you and want to continue with our reflections together with you. Today’s subject is “Immaculate with the Immaculate”. This subject fits well into that of the last time “The time of the Antichrist – The time of the triumph of the Immaculate Heart of Mary”. We will read a message that Our Lady gave to the foundation “Fortress of the Immaculate” which has put itself particularly at the disposal of Our Lady in order to make these programmes move ahead; by listening to the message you will find a place for yourselves too, since Our Lady wants to reach everyone so that each one can find his particular place inside these programmes and be immaculate as well. 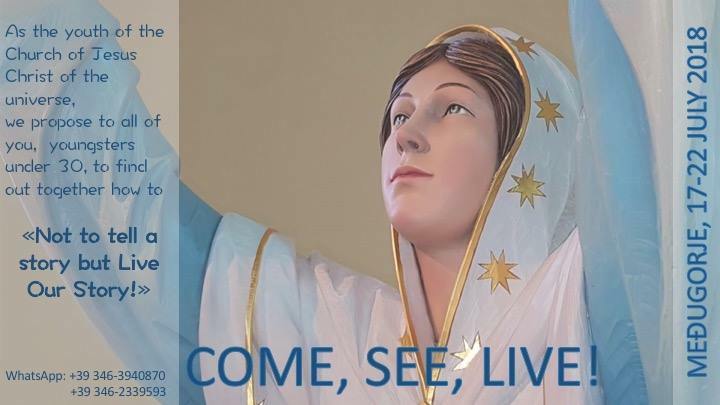 We will put into the centre of our reflection the preparation of the new people that has been going on in the last few years and is about to finish in this period; we will draw the attention of this new people to the immaculate life of Mary. 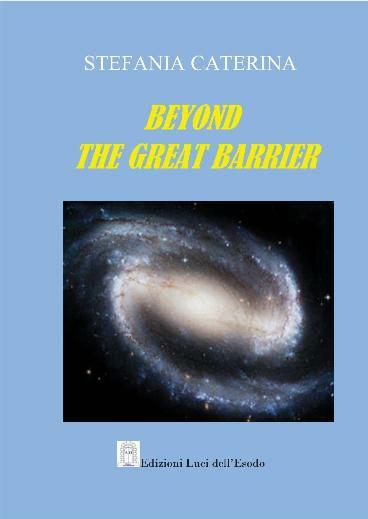 You certainly remember that also in the book “Beyond the Great Barrier” it has been said that the apparitions in Međugorje are the beginning of the triumph of the Immaculate Heart of Mary. Let us listen to the message. I bless all of you who are close to my Heart and gathered in the name of My Son as well as all those who belong to this little rest; wherever they are, they shall be blessed. I am your Mother and your Queen. As such you have proclaimed Me, and such I want to be in your midst: your Mother who carries all of you in Her Heart and your Queen who leads you to Christ. Children, my yes at the moment of conception was repeated before the Angel and under the Cross; I continuously repeat it for every one of you in eternity. My yes was so powerful to shake the whole universe. Hell trembled before my yes. For the truthfulness of My response the Lord gave Me the grace to unite to my purity all those who would belong to Me along the centuries and the millennia. All the children who invoke Me with love, who love Me and call Me Mother and Queen, obtain from God through My Heart the grace to be united to My purity, that is, to become immaculate through a path of trials and purification. This is necessary. You know that there are brothers and sisters faithful to God in the universe who committed no original sin. It is right that you too, who live on Earth and are part of a sinful humanity, have the same opportunity to reach Immaculateness if you believe in Christ and if you love My Heart. Of course, your path is more difficult, but you must never lose hope, because My Son has paved the way for you. By taking on your humanity Jesus has given every one of you the possibility to reach Immaculateness, that is, the purity in the relationship with God and the people, as this is the meaning of immaculateness: the purity in the relationships, the purity of love and faithfulness towards God and the men. Therefore, My children, you have received a great opportunity, and for you who have chosen to take the name of “Foundation of the Fortress of the Immaculate” the principle goal must be even more to reach purity in your relationship with God and the people through Me. You also have been told that the time of the Antichrist will bring about the disruption of the entire universe. In Paradise too the repercussions of the Antichrist will be felt since the saints will be called to be even more committed to pray and to offer themselves to God for you on Earth who will be in the eye of the cyclone. Well, exactly among my children, in the whole universe and particularly here on Earth, the triumph of my Heart will be clearly seen. The Antichrist will not be able to do anything against you if you are perfectly united with My Son through Me. Thus, even on Earth where the Antichrist will be bossing around, there will be a little rest against whom neither the Antichrist will be able to do anything, nor the entire hell. Yes, then you will be a real fortress, My fortress. I ask you, children, to give your total and ultimate yes to God in this time. There must be no more shade in your yes. Those who do not feel ready shall draw back; they will not be abandoned, but will not have to be at the front line. Who wants to belong to this Fortress and be part of this little rest must be ready to go to the front line with no ifs and buts; he must be ready to give everything. I repeat: who is not sure shall draw back; he will not be abandoned. God will find another place for the ones who do not feel ready to be at the front line where they will still serve God. If you are not ready, do not lie before God. Be simple, small like children. Stand before God and say: I cannot do it. God will not abandon you but will give you the right place where you will fully collaborate with this project. Otherwise you will feel crushed as the times are getting hard and I do not want anyone to feel crushed by this programme. You all have to participate in freedom, happiness and fullness. Therefore, I invite you to be absolutely clear and honest before God. Those whose answer is yes have to say yes until the end in the way My Son said yes and like I said yes. I promise you that I will always be by your side, and that the grace God has given to Me will always be effective for you, but I need your sincerity and your total faith. Our reflection begins with the creation of the universe. When God created the angels and the humans, he wanted them to collaborate and serve the whole creation. We have to see this order, understand and accept that it lies also within the redemption because everything has to return to that order which is in God. After original sin, in chapter 3 of the genesis, a woman is promised to come. We now see Mary Most Holy, Her Son Jesus and all Her children who are elevated to the Father by the Son. The Church sees Him as the new Adam, Jesus Christ, but she sees also the new Eve; why is Mary Most Holy the new Eve? Because She is an immaculate creature who is perfectly united with God; it is She who goes against the Antichrist who is a creature possessed by Satan. Let us not forget that. The Church sees in Mary her Mother, but at the same time she is the member of the Church par excellence. Thus, the Mother, the Instrument par excellence, is a gift for us. We know what the gift of a Mother means in our life. When this gift is not accepted, disorder arises in a soul, in a person. How much envy, jealousy and arrogance exist towards the Immaculate Mother who is next to God! We have to realise that, if we do not accept the new Adam and the new Eve in the way they are meant in God’s order, this may lead to disorder in us. Who does not accept the Immaculate Mother easily denies Jesus Christ too. He accepts Him as a historical figure, someone who founded a religion, an ideology, but not as the living God. The experiences we have made in the last years show that while Our Lady was in their midst, the apostles were protected and there was harmony among them and they felt secure. This is what the apostles Peter, John and Jacob said as well as St. Matthew who spoke to us recently about the time when he wrote the gospel. This is a historical moment in the whole universe when the Immaculate Mother comes down in the midst of Her people and defeats the Antichrist together with Her people. Stefania Caterina: I would like to speak to you about the vibration of the Immaculate Mother. You know, as we have written about it in many books and in many messages, that the creation came forth from the great vibration that flows out of the Most Holy Trinity and that gives life to the creatures and also keeps the creatures alive since the life we are living is nothing else than the uninterrupted transmission of vibrations from the Most Holy Trinity towards all the creatures, towards us. If this vibration is interrupted, life will cease. This is true for every creature and for the entire universe. Now, every living being, man in particular, emanates vibrations that may be higher or lower according to the life he has chosen. We are in the image and likeness of God, therefore, we carry in us the divine imprint that makes us vibrate as the love of God is placed in us. Thus, if we accept and raise this love, our vibrations elevates, otherwise it will get lower until it regresses. So you can imagine what kind of vibration Our Lady emanates, that is, an extremely powerful vibration. The Archangels told us that after God She is the creature that emanates the strongest vibration, much stronger than that of the Archangels and the pure spirits in general. Her vibration is truly immaculate, it is absolutely pure; there is no trace of impurity, of negativity, at all in that vibration. What happens? It happens that this extremely high vibration envelopes us. If we are united with Her, this vibration touches us profoundly and, at the same time, strengthens our aura outside of us, which is the shield, so to say, that is given to us as an external protection. The immaculateness of Mary, Her vibration, increases our aura, makes it immaculate, impenetrable by hell. Thus, Mary’s elevation is totally pure and sublime. What happens on the other side? It happens that the demons and the men who are consecrated to Satan too emanate vibration, of course very low, negative vibration. From this kind of vibration no life comes out but death which spreads and transforms; it is transmitted in form of existential death, depression, despair. Here on Earth we are in the centre of a tangle of vibrations that collide and interweave; that is because, on the one hand, there are souls who are offered to God – there is great holiness on Earth – and on the other hand, there is great negativity. For this reason, these vibrations collide and create something like a net in which the weaker souls, who do not have the support of faith, who have not given themselves to God, find themselves in great confusion. Through the vibrations obviously impulses and information come to us, which then have to be decoded by our spirit and made alive. In this tangle of vibrations which interweave: negative, positive, sublime, very low vibrations, the weaker souls find themselves in great confusion and are unable to decode the impulses and the information reaching the spirit. Something similar occurs with technology, in the internet, where information travels here and there and is often contradicting while people are unable to discern. The same occurs on a spiritual level. At this point, in this great confusion, technology and science, even religious science, not knowing what happens on a spiritual level and unaware of vibrations, what they are and where they come from, they are unable to help man and to give him a response as he is immersed in this whirlwind, this storm of vibrations. Thus, you understand that it is even more necessary now to be united with the Heart of Mary to receive those impulses, those sublime vibrations that protect us from this confusion. Father Tomislav: I would like to add an experience I made in Međugorje while I was serving at the parish. In the first years of the apparitions of Our Lady, scientists from Italy came to measure the vibration – they called it energy – near the seers while Our Lady appeared, then a hundred metres and four kilometres far away from where the apparitions took place, exactly at the time of the apparition of Our Lady. So, during the apparitions near the seer they registered the highest levels of vibration which was scale 7 according to their criteria. The further away they went from the place of the apparitions, the more the vibrations diminished. This is the example that I wanted to add to what Stefania said; but then a practical question comes up: did the pilgrims really understand that to encounter the Holy Mother they had to enter Her Heart, live in communion with those vibrations and keep them? Did the commissions who came to research get into those vibrations, into that mystery that is as big as God? I do not think so. So, how can they discern? Without entering that mystery and those vibrations, it is also impossible to understand God’s project. In this message the Most Holy Mother asks for a faithful response; a clean response before God without lies. She turns to the people of the Foundation that has chosen to serve the project, to be on the front line, to give testimony of it; however, She also turns to each one of her children as there is a place for each one to join this project for the new creation through the glorious coming of Christ our Lord. To participate and immerse in the immaculateness of Mary means to participate in the life of the living God who is the Most Holy Trinity. The Immaculate Mother of God has been given to us as Mother to accompany us in the way a mother accompanies her children, with tender, pure love; but She has also been given us as Queen who governs with Christ our Lord. The Church invokes Her as Queen, as Mother and Queen; however, if we invoke Her superficially, it is one thing; another thing is to enter in Her Immaculate Heart and in Her immaculate life. This is no magical gift; it requires the free participation of each one of us in order to be transformed with Mary’s help to become mystically united with Christ the Lord through whom, in the Holy Spirit, we get to the Father. Along history many great saints went through their life together with the Immaculate Mother Mary and were faithful to Her. We have reached the time in which God asks for a people; He wants to have a people, and eventually He wants all the children of God to join this project so that they will enter the new creation. Stefania Caterina: At this point we ask ourselves what we can do concretely to become immaculate. We will give you some indications. First of all, we have to welcome Mary as a gift. Mary is a gift of God and thus we have to welcome Her with veneration, respect and gratitude towards God since She is a immense gift. A mother is always a gift for every child; an immaculate and powerful Mother is a guarantee for us Christians; a really great gift. We must let her act fully in us consecrating ourselves to Her putting our whole life in Her hands being certain that She knows God’s plans for us, that She knows what is good for us. She knows what God expects from us, and She knows how to help us to reach what God wishes. Therefore, the consecration to Her is not just a magic formula; it really means that we entrust ourselves to Her with full awareness as She is the sublime instrument of this time that brings us to Jesus. In us there must be, of course, the desire to conform ourselves totally to Jesus exactly on the example of Mary who was His first disciple and who has always done His will, always, from Bethlehem to Calvary and beyond. Furthermore, we have to understand and really get it into our head that Our Lady is not a nice statue; Our Lady is a alive and present, She is a person; She is a person who lives in all Her fullness in the glory of God. Thus, when we welcome Her, we must be certain that there is no entity beside us, no energy, but a living person in the same way as the person of Jesus Christ is alive. Thus, we have to welcome Her as a living presence that is first of all beside us, inside us, and, I should say, first and foremost in all those places where She has wanted to fully manifest Her person in this time. In the places of Her apparitions, mainly in Međugorje. For us who are in the Foundation of Međugorje She is the indisputable starting point from where our path begins; therefore we have welcomed Međugorje and we believe in it. We have been told that these are the last apparitions, but we have also been told that Our Lady has appeared there to prepare the people in a special way for this time because from Međugorje the last phase of the preparation of the people for the glorious return of Christ should have begun. For this reason these are the last apparitions and we have to understand that without discussing about Međugorje: it may be …, it may be not …, this one says …, the other says, etc. ; we have to understand that when Heaven says, “These are the last apparitions,” we have to prepare ourselves, welcome them, be grateful and put ourselves at the disposal of God. Padre Tomislav: It is beautiful that in Her message Our Lady turns to all of Her children, those who will be at the forefront and those who will be more behind according to their possibilities and their originality. It is important that She underlines that those who are at the forefront must give everything; those who are at the forefront must do it with generosity, with gratitude towards God and with love for everyone, also for the last. The last may be the first and the first may be the last. We will all enter the new creation when we are all ready. This is the beauty of this message and the greatness of God; humanity will find harmony when relationships are perfect in God, between the first and the last, between the strong and the weak. St. Paul has explained this very well in his letter to the Romans. In the new creation God will be in everyone. Stefania Caterina: Before we leave you, we want to say that we pray for you, we assure you our prayer and our constant blessing. The Lord has put us on this path as a father and a mother for you all, and this is not meant to be an exaltation of ourselves, but it is our service, and we want to accomplish it; we want to accomplish it in the way every father and every mother does by praying, offering ourselves, offering every pain, every difficulty, every persecution to God so that each one of you may go ahead. Yet, it is also our joy to see that this people is growing and will grow further; thus we leave you in the hands of the Immaculate Mother so that She does all the necessary in you to make you ready for this time and for the Lord. Padre Tomislav: Together with Mary Immaculate, together with Heaven and all souls and all the children of God who are joyful, we bless you for the triumph of Her Immaculate Heart in you. In the name of the Father, of the Son and of the Holy Spirit. Cfr. Chapter 2, page 46.